where she develops and leads new areas of work, in addition to providing programmatic, fiscal, and administrative oversight. She has worked on immigration and social and economic justice issues since 1987. Prior to joining GCIR, Daranee was a program and communications consultant for foundations and nonprofits. She previously held leadership positions at the Illinois Coalition for Immigrant and Refugee Rights and was a Program Officer at the Field Foundation of Illinois, Inc. and the Sophia Fund, one of the first women’s funds in the United States. She has served on the boards of the Donors Forum and the Heartland Alliance, both in Chicago, and the Asian Americans Advancing Justice in Washington, D.C.. Daranee has authored and co-authored numerous research reports on a range of immigration issues, as well as opinion pieces on the role of philanthropy in supporting immigration and immigrant integration issues. Daranee earned an MA in Social Policy from the University of Chicago, and is a recipient of the 2014 Professional Development Fellowship from the Wallace Alexander Gerbode Foundation. where she oversees a number of initiatives to better serve and engage immigrant families and communities in New York. Betsy joined the NYIC in 2013 as the DACA Outreach Coordinator following a tenure in the direct legal services field at Central American Legal Assistance (CALA) in Brooklyn, New York. During her time at CALA, Betsy honed her knowledge of immigration policy, federal programs, and administrative advocacy. She sits on CALA's Junior Board as well as the Naomi Berrie Diabetes Center’s Emerging Leaders and Outreach Committees. Betsy holds a B.A. in Political Studies from Bard College, a Certificate of International Relations and Global Affairs from the Bard Globalization and International Affairs program, and an M.Sc. in Comparative Politics and Conflict Studies from the London School of Economics and Political Science. Prior to joining KIND, Jennifer Podkul was a senior program officer at the Women’s Refugee Commission where she researched issues facing vulnerable migrants seeking protection in the United States and advocated for improved treatment. She is a national expert on issues affecting immigrant children, has published articles, handbooks and reports on U.S. immigration law, and she presents regularly as an expert at various conferences, briefings, and professional trainings. She co-authored “Forced From Home: The Lost Boys and Girls from Central America” and was a contributing author to “Childhood, Migration, and Human Rights in Central and North America: Causes, Policies, Practices, and Challenges.” Jennifer has taught child migration at Georgetown Law Center’s Human Rights Institute. Jennifer began her legal career as an attorney at Ayuda in Washington, D.C. first as an Equal Justice Works Fellow and later as a KIND Fellow. She served as a Peace Corps volunteer in Honduras, holds a B.A. in American Studies and Spanish from Franklin and Marshall College and a J.D. with honors from the Washington College of Law, American University, where she was a Public Interest/Public Service Scholar. where he manages the communications team and directs communications for the organization’s immigrant justice and right to vote portfolios. Previously, Ricardo worked with social justice and immigrant rights groups, where his work included helping the nation’s largest immigration advocacy coalition shape its communications strategies in an effort that led to President Obama's executive relief for immigrant families. Ricardo got his start as a communications professional through years of work in political press offices, including Capitol Hill, the Democratic National Committee, and President Obama’s 2012 campaign in Florida. Susan E. Reed is Managing Attorney with the Michigan Immigrant Rights Center. Susan has practiced immigration and immigrant rights law since 2003, having served as a Staff Attorney at Farmworker Legal Services of Michigan and as a Regional Attorney for Justice for Our Neighbors, the immigration legal services program of the United Methodist Committee on Relief. Her particular interests include the intersection of family and immigration law, the rights of unaccompanied immigrant children, immigrant eligibility for public benefits and programs, and civil rights matters. Susan is Secretary of the Steering Committee for the Michigan Coalition for Immigrant and Refugee Rights (MCIRR) and co-chairs the Advocacy Committee of the Michigan Chapter of the American Immigration Lawyers Association (AILA). In 2013, Susan was appointed by the Michigan Supreme Court to the Foreign Language Board of Review and she serves as a committee member of the Court's Limited English Proficiency Implementation Advisory Committee. She is also on the Detroit City Council Immigration Task Force, and is a proud member of the first class of W.K. Kellogg Foundation Community Leadership Network Fellows. She is a graduate of the University of Minnesota Law School and Marquette University. a faith-based, volunteer-supported primary and specialty care clinic that provides affordable, high-quality health care to the uninsured. She has worked for over a decade in community and global health outreach and advocacy on behalf of vulnerable populations locally and globally. She currently serves as the Chair of Board of Directors for the Nashville International Center for Empowerment, a local refugee- and immigrant-serving agency, and was Chair of the Nashville Task Force on Refugees and Immigrants. Amy has also spent extended time with community development and English teaching organizations in Nepal and Thailand. which she founded in 2005. She has worked to defend basic human rights of low-income and migrant peoples for 25 years. She has worked to defend public health care coverage and promoted the growth of award-winning free clinics—La Clinica del Pueblo in Washington, D.C. and Good News Care Center in Florida. She also served as Deputy Director of the Human Services Coalition in South Florida. Maria has been a Board Member for Florida New Majority, ACLU of Florida, New World Foundation Board in New York, and the Highlander Center in Tennessee. She is a graduate of Georgetown University, where she was active in the anti-apartheid and Central America solidarity movements. REVEREND ALEXIA SALVATIERRA IS THE FOUNDER OF THE FAITH-ROOTED ORGANIZING UNNETWORK AND A CO-AVSFOUNDER OF THE NATIONAL EVANGELICAL IMMIGRATION TABLE AND THE 2007 NEW SANCTUARY MOVEMENT. a national research and advocacy organization based in Chicago. At CNC, Lindsay leads efforts to equip and mobilize grassroots organizations and national coalitions to challenge organized nativism and racism in policy and media. She previously served as a Congressional staffer handling housing, health, and immigration policy, and managed advocacy for sexual health and rights at American Jewish World Service. Lindsay has advocated with directly impacted community members to fight for driver’s licenses for all DC residents, regardless of immigration status, and to stop deportations of local residents. Lindsay holds a Master of Science degree from the Harvard T. H. Chan School of Public Health. Kate Syfert is a Community Relations Officer for U.S. Citizenship and Immigration Services (USCIS) Customer Service and Public Engagement Directorate (CSPED). She works on the citizenship portfolio, in close cooperation with the USCIS Office of Citizenship, and supported USCIS’ efforts around the Task Force for New Americans. Kate is currently detailed as the Branch Chief for Customer Access, working on expanding access to the Agency for our stakeholders and customers, particularly for vulnerable and underserved populations. Kate was formerly the Community Relations Officer for the USCIS Central Regional Office, where she managed the agency’s community engagement program for 21 states. She has also served as the Community Relations Officer for USCIS in Denver, and covered the states of Colorado, Wyoming, Utah, Idaho, and Montana. Kate began her career with USCIS in 2005 at the Denver Field Office as an adjudications officer. She has completed the Graduate School’s Executive Leadership Program and New Leader Program, and has served as a mentor to USCIS colleagues in the USCIS Mentoring Program. She was recently detailed as the Acting Assistant Regional Director for Adjudications in Central Region and to assist the Public Engagement Division Deputy Division Chief. She has also participated in details with the USCIS Office of Citizenship and Denver Immigration and Customs Enforcement. Kate holds MA and BA degrees in Anthropology and Religion. Prior to her government service, she was a member of academic research groups at the National Science Foundation and Kyoto University in Kyoto, Japan. a project of ACCESS that brings together 23 independent Arab American nonprofit organizations in 11 states. The network's primary mission is the development of Arab American nonprofit organizations that focus on the needs and issues impacting their local community, while collectively addressing those issues nationally. Nadia oversees all aspects of programming within NNAAC, including advocacy and civic engagement, capacity building, and youth and community development. She also oversees NNAAC governance, fundraising, member relations and partnerships. Prior to serving in this position, Nadia led the Advocacy & Civic Engagement program with NNAAC for four years. She led a variety of policy initiatives, campaigns, and activities pertaining to immigrant rights, civil liberties and human rights, and civic engagement. She continues to offer technical assistance to organizations across the country in these areas. 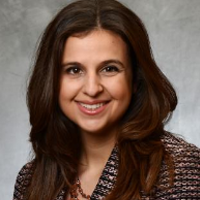 Nadia currently serves as the chairwoman of Michigan United, as an executive committee member of the Rights Working Group, and as a board member of Mothering Justice. She is a graduate of Leadership Detroit, Class XXXIII. Before coming to ACCESS, she worked with the Democratic Communications Office for the Michigan House of Representatives. She received her bachelor’s degree in political theory from Michigan State University and her master’s degree in Near Eastern Studies from Wayne State University. Kathy KL Tran brings a wealth of experience in issues pertaining to immigrants in the workforce to her role as policy and advocacy assistant director for skills and workforce development. At the National Immigration Forum, Kathy advocates for policies and programs that prepare workers, including immigrants, to reach their full potential and meet employers’ talent needs. This includes improving immigrants’ English-language acquisition and ensuring they have opportunities to gain skills, credentials, professional licensures and work experience in the United States. Before joining the Forum in 2015, she served in several leadership positions at the U.S. Department of Labor’s Employment and Training Administration. She helped lead the implementation of the Workforce Innovation and Opportunity Act and coordinated a national technical assistance strategy to help state and local workforce leaders prepare for and implement the law. In 2003, she was named a Presidential Management Fellow. Raised in Downey, California, and San Diego, Kathy graduated from Duke University and earned her master’s in Social Work from the University of Michigan. Joseph Villela is an immigrant, political junkie who sees policy change possible through direct engagement from disenfranchised communities. Joseph is a dedicated and accomplished government relations professional with more than a decade of experience in monitoring, analyzing legislation, including a successful track record in developing and managing legislative campaigns. Joseph graduated from the University of Los Angeles California (UCLA) and is a proud parent of a 5 year old. Elandria Williams is a member of the Education Team at the Highlander Research and Education Center. She helps coordinate the Economics and Governance program that includes supporting the Southern Grassroots Economies Project; providing technical assistance and accompanying burgeoning cooperatives across the south; developing and implementing a popular education economics and governance curriculum; and co-editing a global project and upcoming book, Beautiful Solutions. Elandria is especially proud to have been at the founding meeting of the Black Immigration Network and served on its initial board, as well as having served on the board of the Southeast Immigrant and Refugee Rights Network. Her relationships with friends that were undocumented, and to her Afro-Brasilian partner who committed suicide rather than be deported back to the worst favela in his home country, cemented her passion to work at the nexus of the root causes of migration, capitalism, and globalization. She was born and raised in Powell, TN but her roots and family are in Florida and the Gulf Coast.